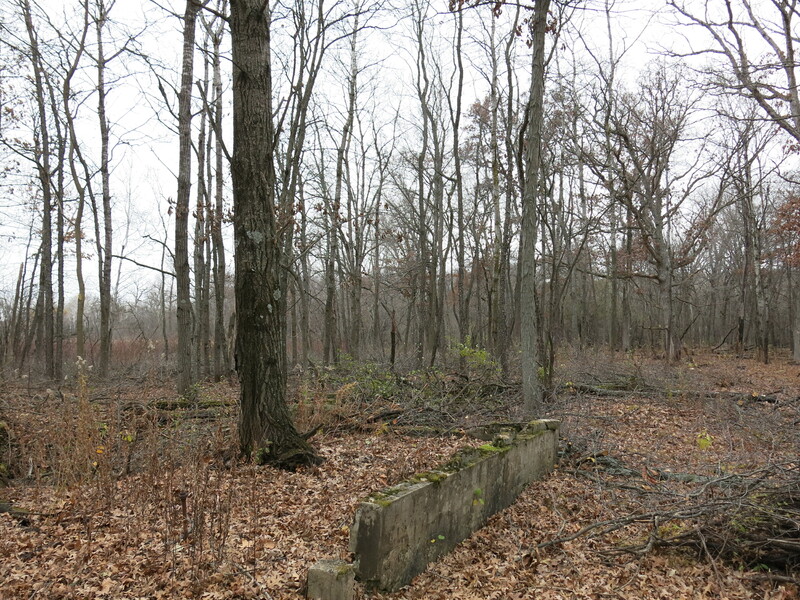 I’ve walked up that trail a thousand times and it was absolutely jarring to see a brick tower at the trailhead. 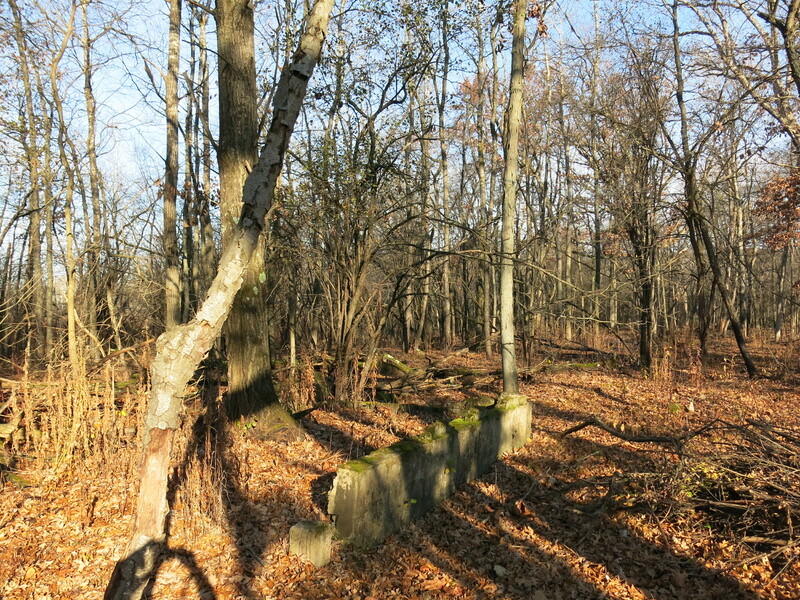 … and the fact that one of their favorite resting spots in the Village of Hartland was scheduled for destruction. Thousands of lives were at stake! Ramsey Schlissel does a brilliant job telling the story. The whole Village of Hartland came together spurred by the passionate environmentalism of their vibrantly conscious youth. Wow! 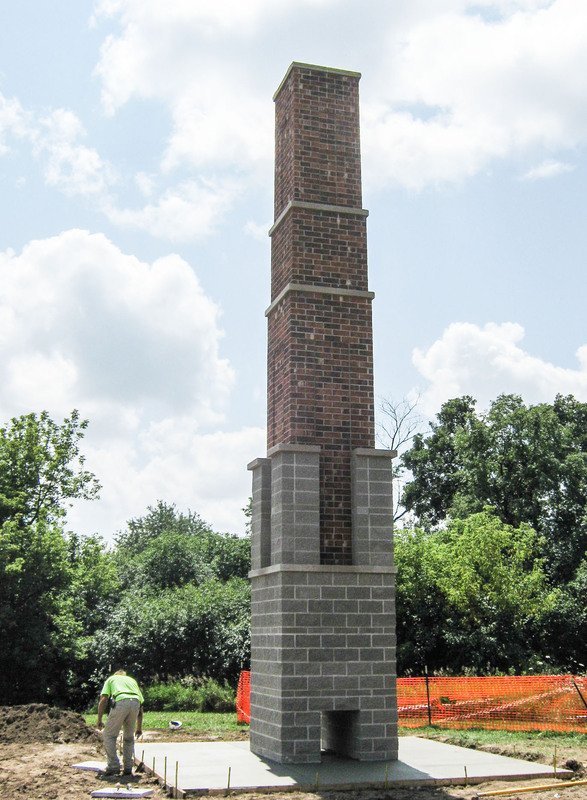 They still need some help paying for the new Chimney Swift Tower. 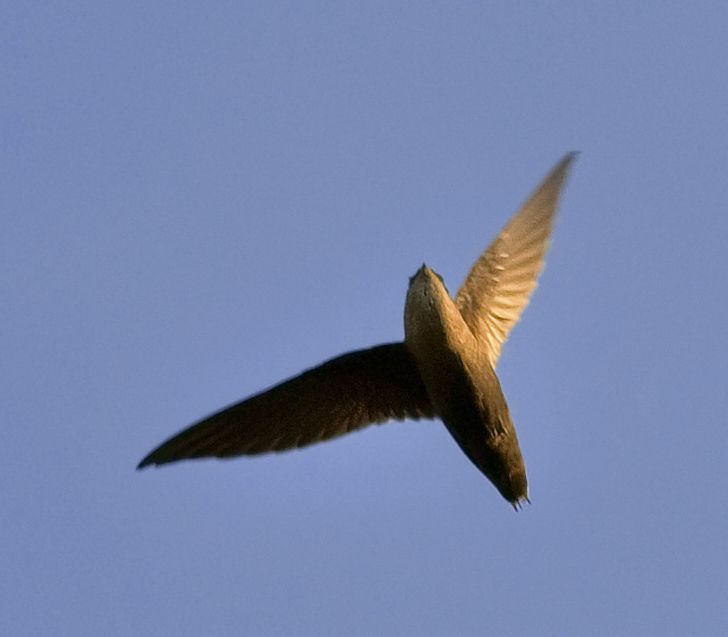 Visit them on Facebook or at SaveTheSwifts and make a contribution. 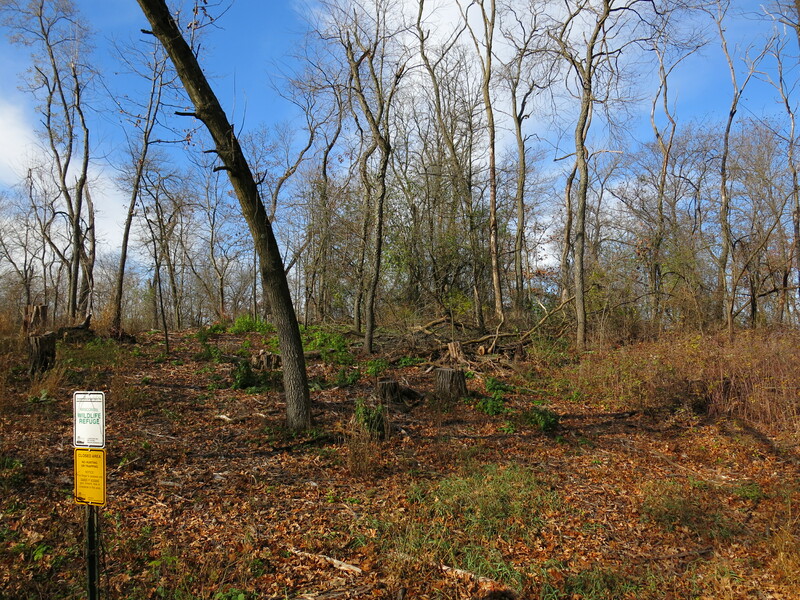 Can a movement in the village to Save The Oaks Of The Hartland Marsh be far behind? 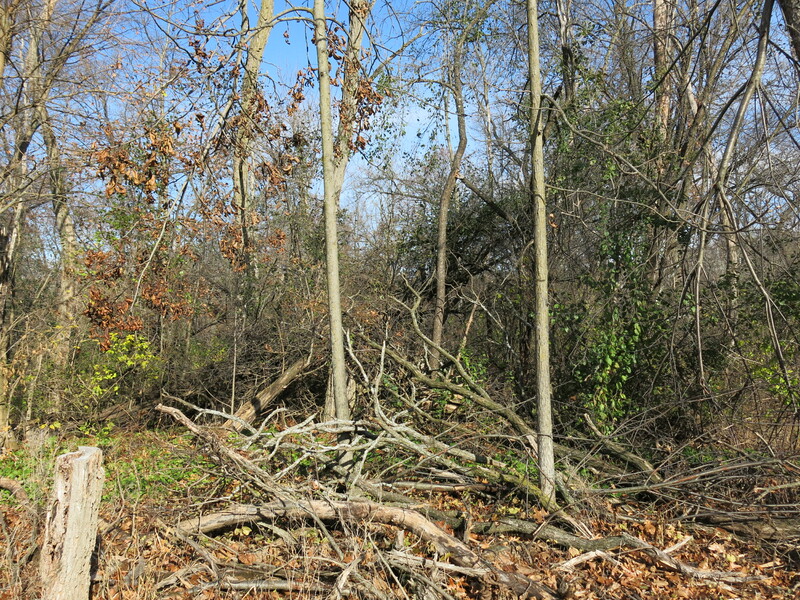 The buckthorn has returned, thick as thieves, since I abandoned my valiant (or was it vain?) 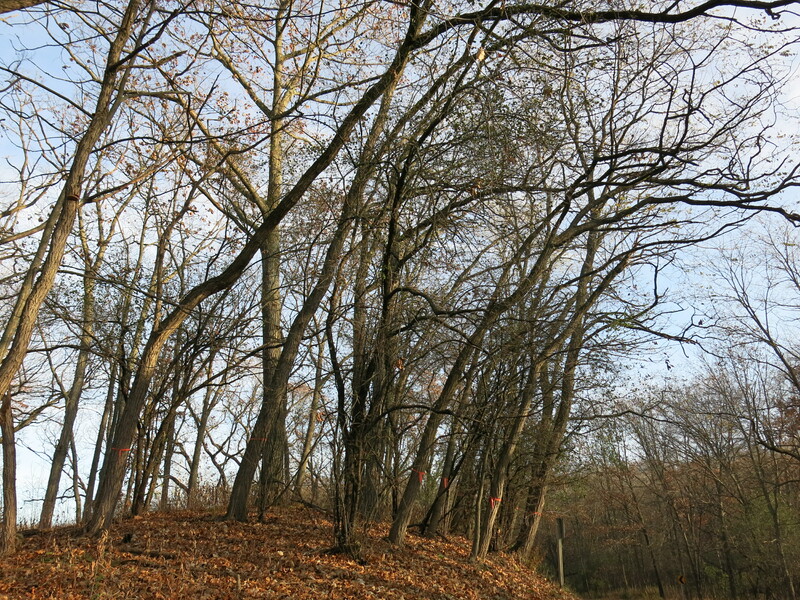 effort to save the oaks there 3 ½ years ago. 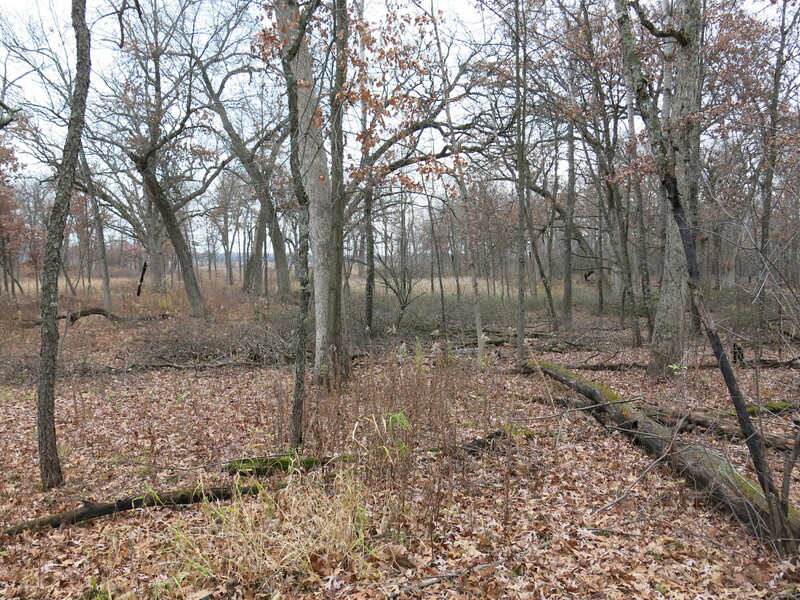 One of the reasons I “gave up” at the Hartland Marsh was the resistance to the use of fire as a tool to restore the landscape and control the buckthorn seedlings and resprouts. I was lucky they let me finish burning the hundreds of brush piles I left there. 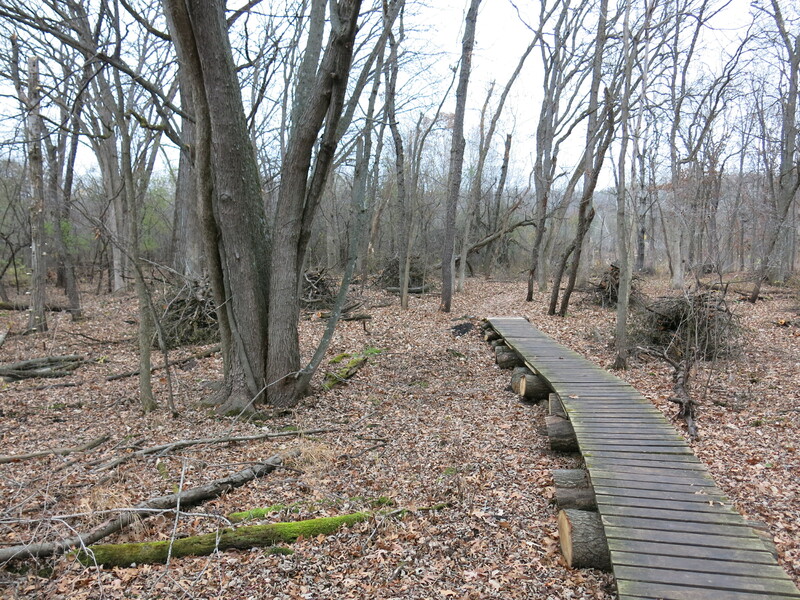 At the Scuppernong Springs Nature Trail, on the other hand, I have the total support of the DNR, and, in fact, they are hoping to burn The Springs in 2015. 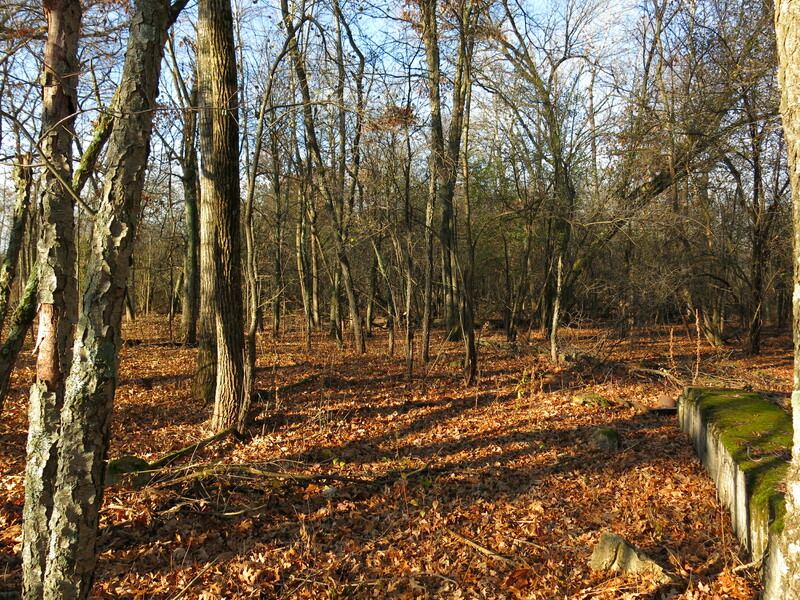 To that end, I continue to focus on prepping the land for the next burn. 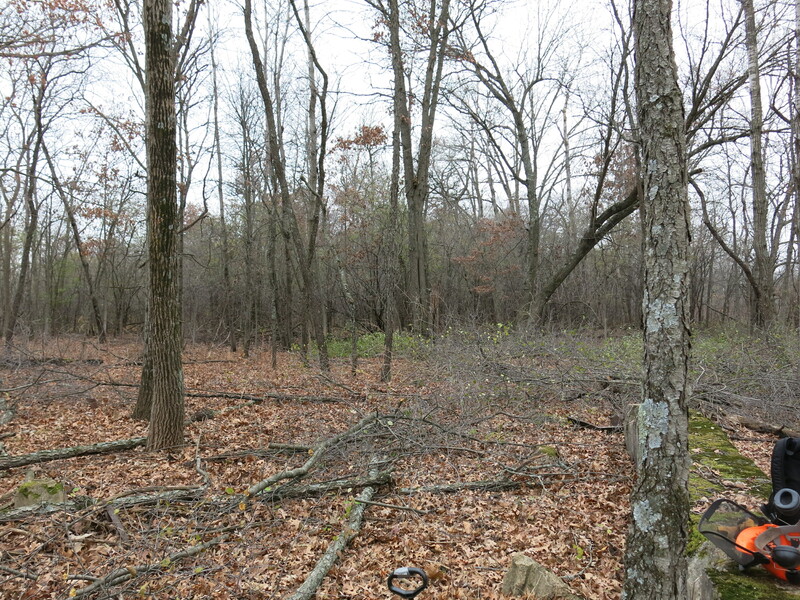 On Monday, November 3rd, I used a brush cutter to “mow” the woods on the northeast side of the loop trail. The DNR has never been able to get a hot ground fire to run through this area. 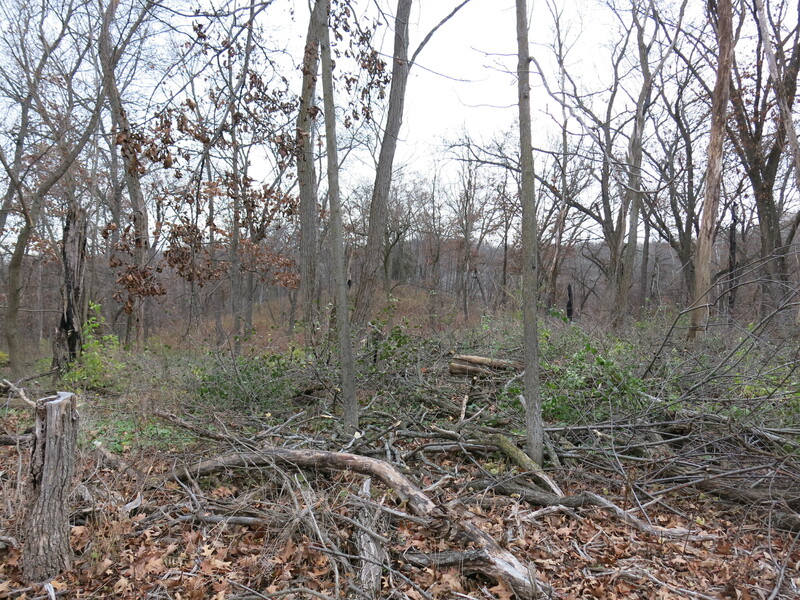 Now, with the removal of the black locust and my brush clearing, we’re hoping for better results in 2015. I recently replaced the bar oil pump, clutch and muffler on my Stihl 361 Pro chainsaw and I was eager to see how it performed. 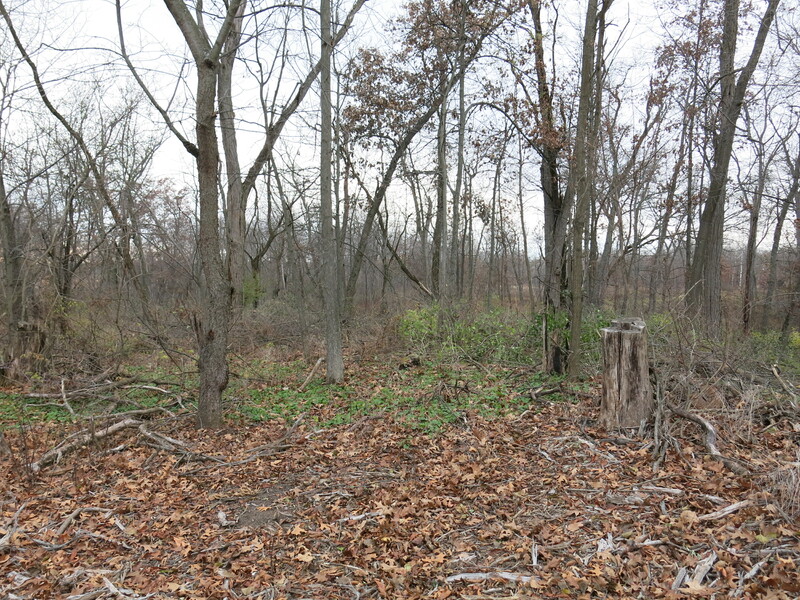 On Wednesday I returned to the cut-off trail to finish cutting a little patch of buckthorn on the east side of a wetland that sits between the cut-off trail and north loop trail. 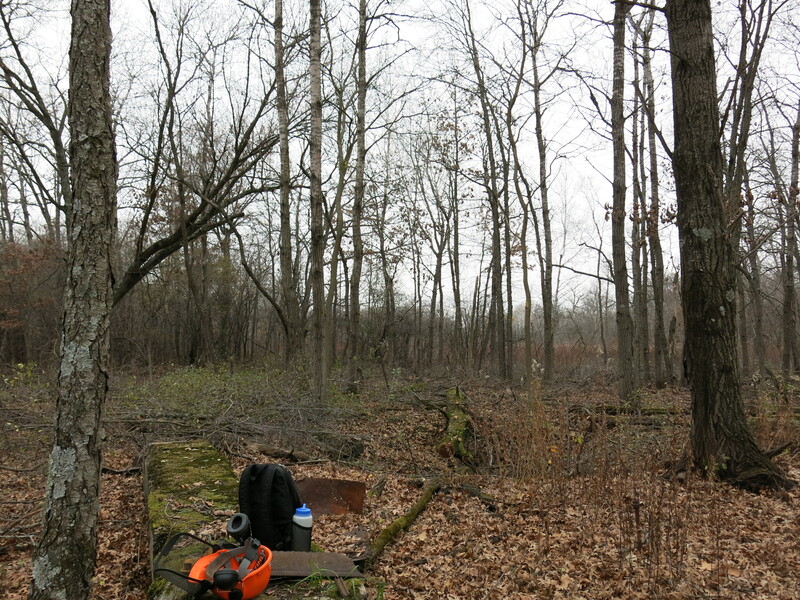 Then I moved 100 yards to the east to cut buckthorn on the east side of another wetland near an old building foundation. 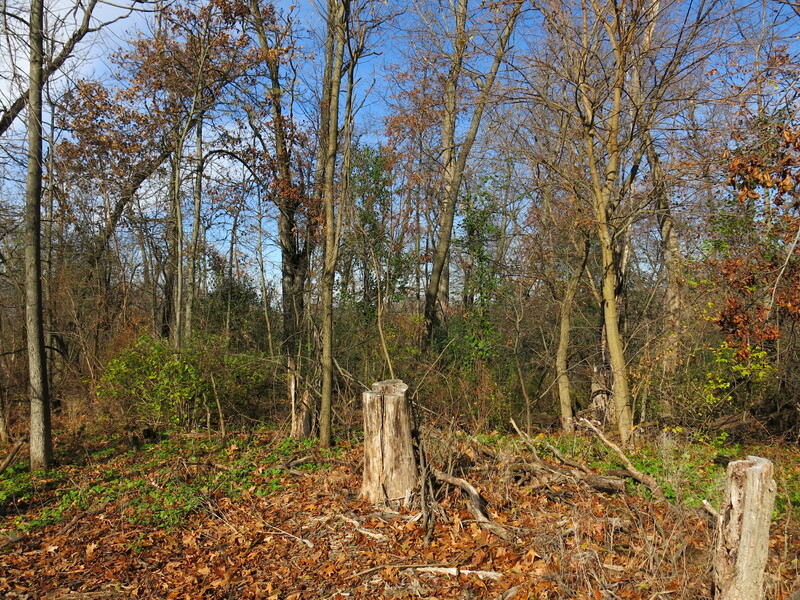 And after cutting… the same three perspectives shown above. Pati joined me and we walked over to the north loop trail to check out the view from that perspective and to see the newly minted brush piles that Andy Buchta made. Thanks Andy! 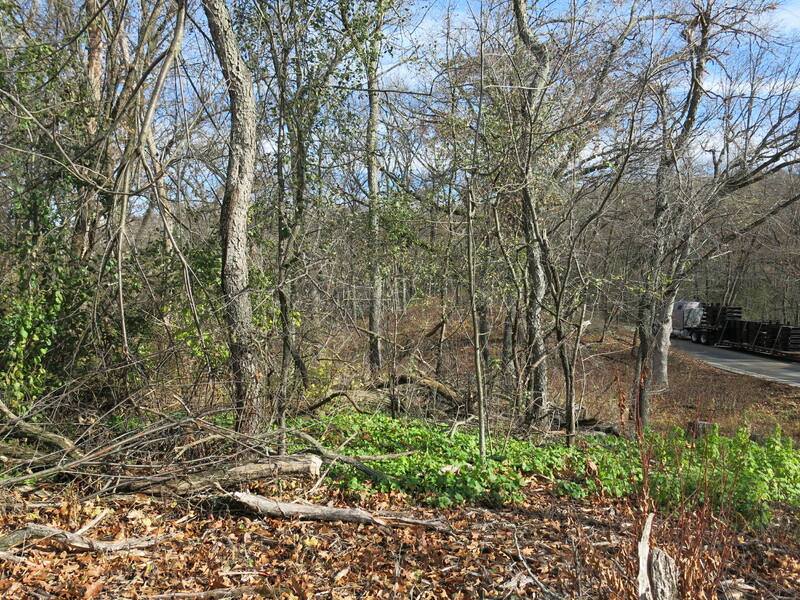 Here is a view of the work area as seen from a bit further east on the cut-off trail. 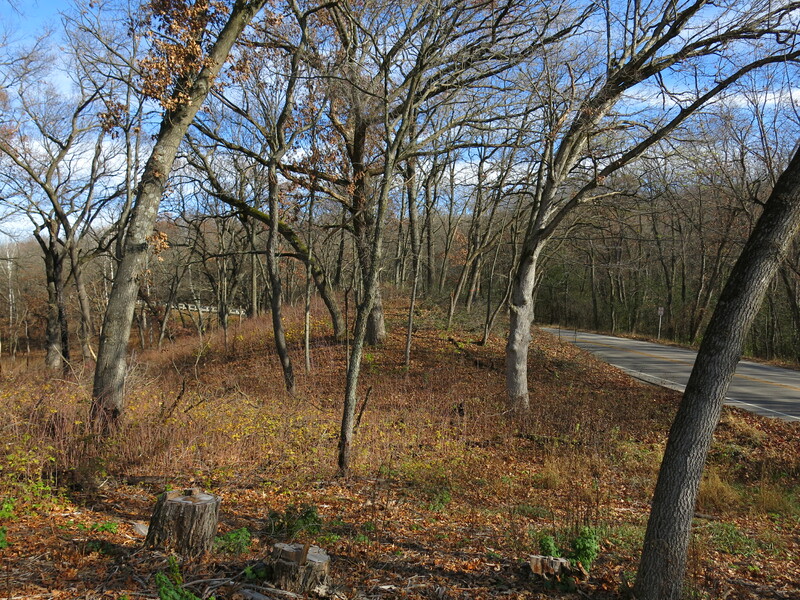 And video tour of the area. My chainsaw ran perfectly and on Friday I was back at it again this time on the south end of the Scuppernong Springs Nature Preserve. 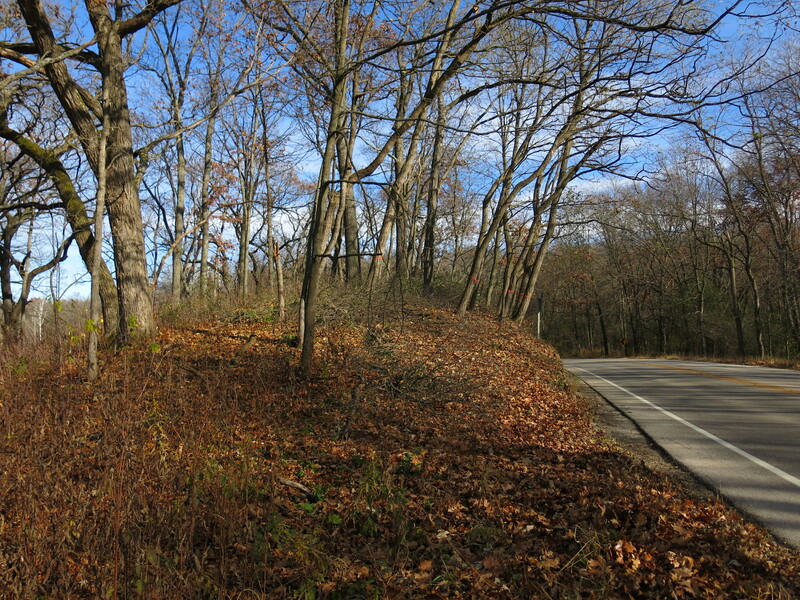 There was a patch of buckthorn on a little knoll between the Scuppernong Spring and Hwy 67. 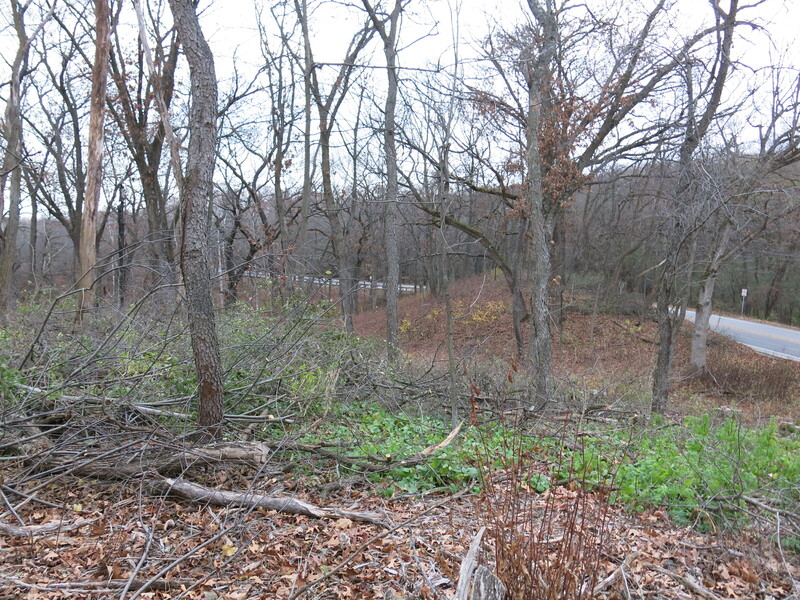 I had to tie a rope around some of the buckthorn to pull them pack away from the road as I cut them. 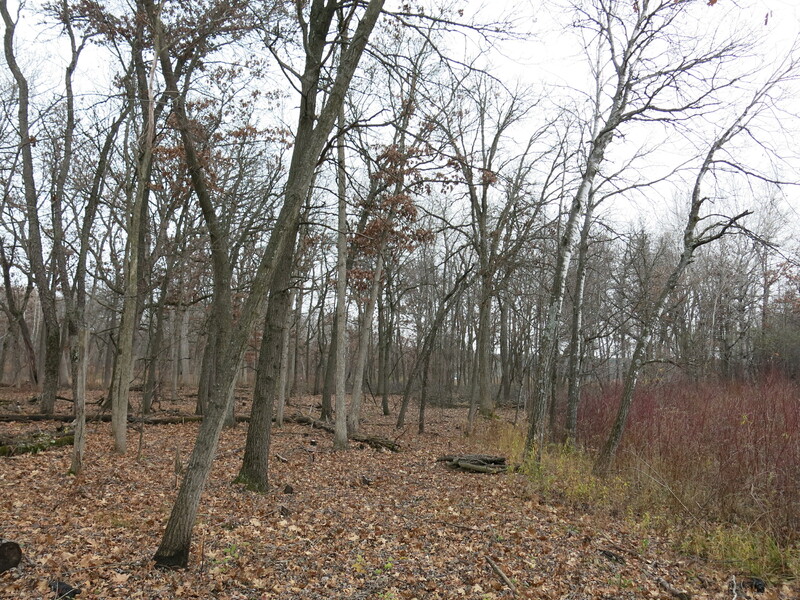 Then I moved over the west a few yards to tackle a nasty thicket of buckthorn mixed with black oak slash. 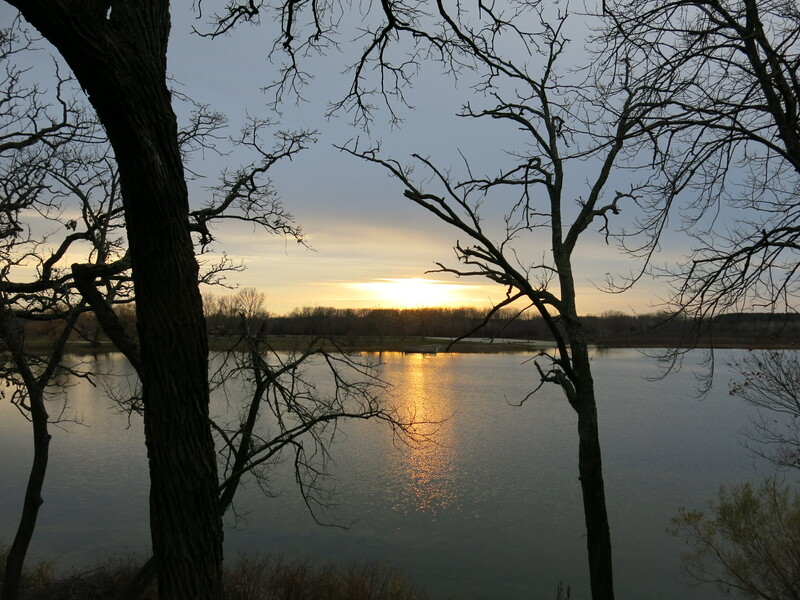 Like Wednesday, it was a sunny warm morning that turned cloudy and chilly as the day progressed. 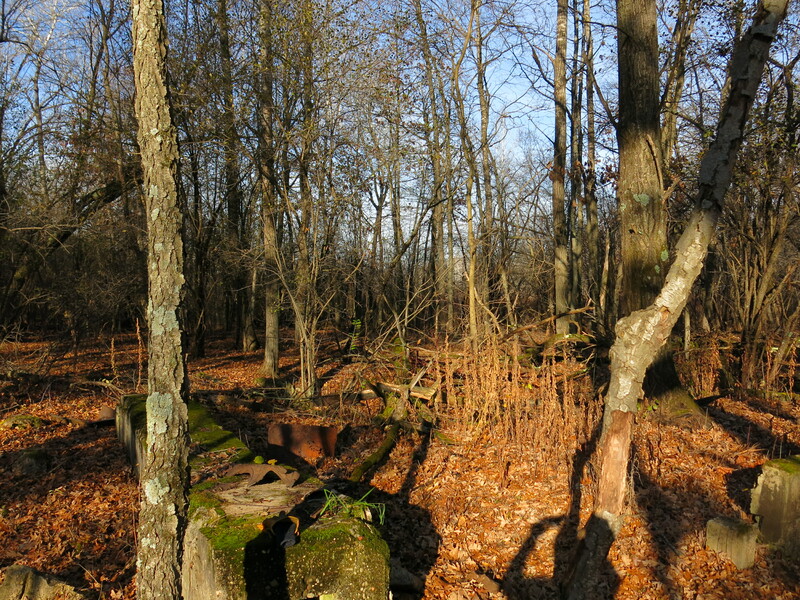 Here are the same three views above at the end of the day. 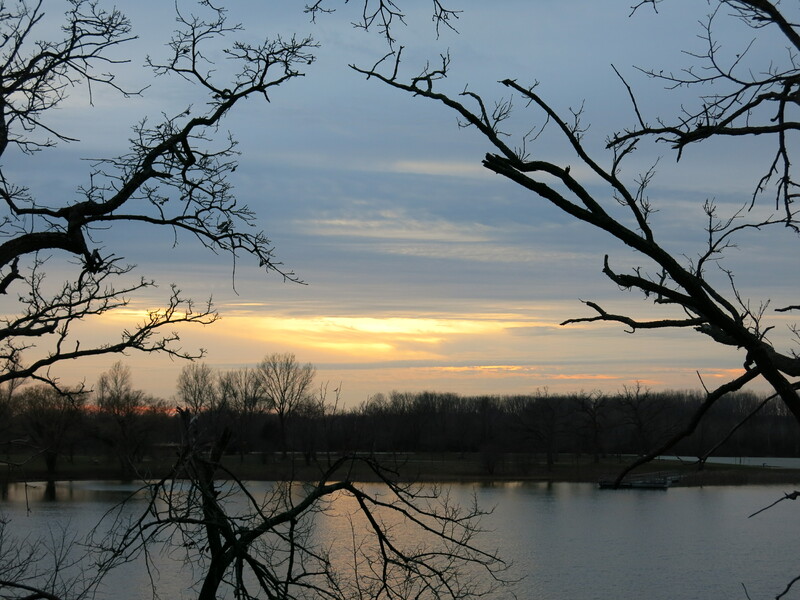 I caught the sunset at Ottawa Lake. 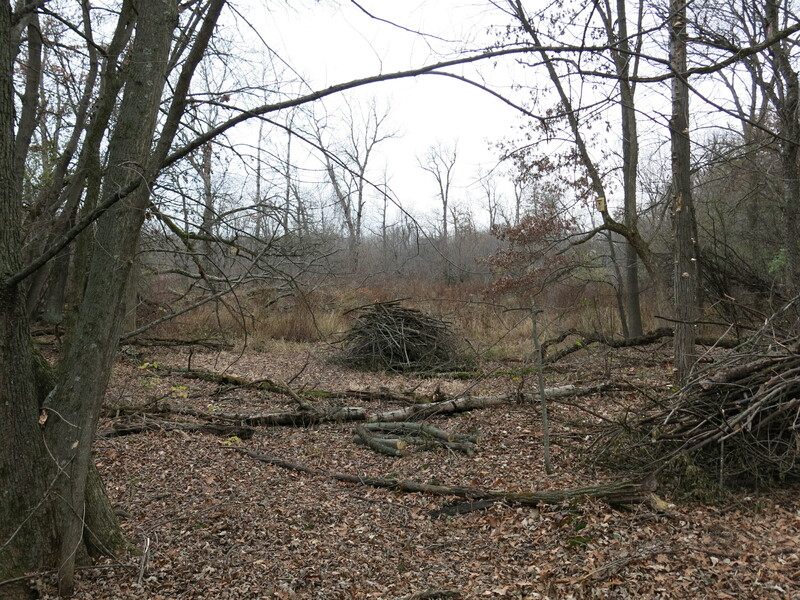 This entry was posted in Brush Piling, Buckthorn, Hartland Marsh and tagged Chimney Swift, Hanna Kimmel, Hartland Marsh Chimney Swifts, Tikvah Schlissel by paulmozina. Bookmark the permalink.